We are descendants of the German war generation and answer your letter to German Chancellor Angela Merkel from February 2015. We understand that it hurts you, that in Ukraine – the heartland of Russian culture – a Nazi movement has spread. We understand that you are worried that people who stand by their Russian roots, are persecuted by a dictatorial regime. We understand that you have doubts about the meaning of your war effort of 1941-1945 and the meaning of the sacrifices of this war, now that this undignified racket was possible in the middle of peace time with European support. And that you fear that German politicians might have learned nothing and that these politicians believe that they can impose on Russia whatever they feel is opportune. We understand that you are concerned that the age of wars in Europe could not yet be over. And that you are afraid that we might again be forced to fight each other. We believe that the Ukraine policy of the United States, the European Union, and Germany can be seen as a betrayal of Russia. We feel your pain at this betrayal. We condemn this betrayal and apologize to you for the lies and opportunism of German media and German politicians. It was not in our name, that the European supported regime in Kiev burned dozens of protesters in Odessa two months after taking office on May 2, 2014 . We condemn that civilians are being attacked with cluster bombs and rocket launchers in Eastern Ukraine . We mourn with you for the victims of aggression that was funded by the International Monetary Fund IMF with our tax money. We think lovingly of Inna Kukuruza who was the first victim in Lugansk on June 2, 2014 – torn apart during an air raid and bled to death on the street . The majority of Germans in 2014 were against an expansion of sanctions against Russia . Sixty prominent Germans – including former President Roman Herzog and former Chancellor Gerhard Schröder have published an appeal for peace to the Federal Government, the Bundestag, and the media on 5 December 2014 in the newspaper DIE ZEIT . Unfortunately, this call for moderation was suppressed by our state funded television and radio stations . Propagandistic counterfeits are common with these stations. The number of formal complaints against our radio and TV program has now reached its highest level since the founding of the Federal Republic . The majority of Germans – 63% – have no trust in the Ukraine related media coverage according to a poll taken at the end of 2014 . We wish to create a just world with Russia, America, and Europe. We would like to encourage you to be hopeful about the future for another reason as well. We are convinced that in the West today there are independent minded officers that will refuse to obey irresponsible politicians in due time. One good part of our joint military traditions includes the Convention of Tauroggen that was signed on 30 December 1812, at the end of the Franco-Russian War. At that time, the Prussian General Yorck, an independent minded officer, agreed with Tsar Alexander on the neutralization of the Prussian corps. With this agreement which was initially concluded against the wishes of his king, the liberation of Europe from Napoleon took its course as well as the alliance of Russia, Prussia and Austria, which brought a peace of 100 years to Europe. Onegin, who leads a self-centered and superficial glossy life, does not believe in love, and rebuffs Tatyana. After many years he sees her again in Moscow – married to another, a Duke – and realizes that he loves her – too late. Her husband; soon after she was gone. He spends his days and useless nights“ . We do not want that Germany suffers the fate of Eugene Onegin. 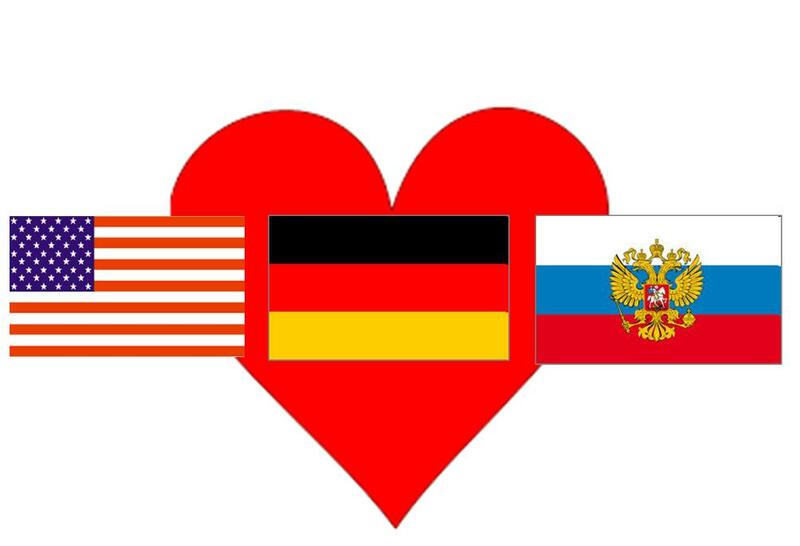 We appreciate your country and what it does for peace and each of us is doing everything in his power to bring the US-controlled government in Berlin to its senses. It is our desire to live with Russia in freedom and on the basis of Christian values. Thank you that you have been in contact and have written your letter. We would be delighted to hear from you. With great respect and joy we send our greetings. and signers of the petition [openpetition.de].